Perfect for all your homemade treats, this Paper Plate Cookie Holder is ideal for a presentation perfect gift. We have the video tutorial to show you how. Watch now. Have you discovered Dave Hax on Youtube? He has a huge following and great ideas and today we are sharing one of our favorites with you. 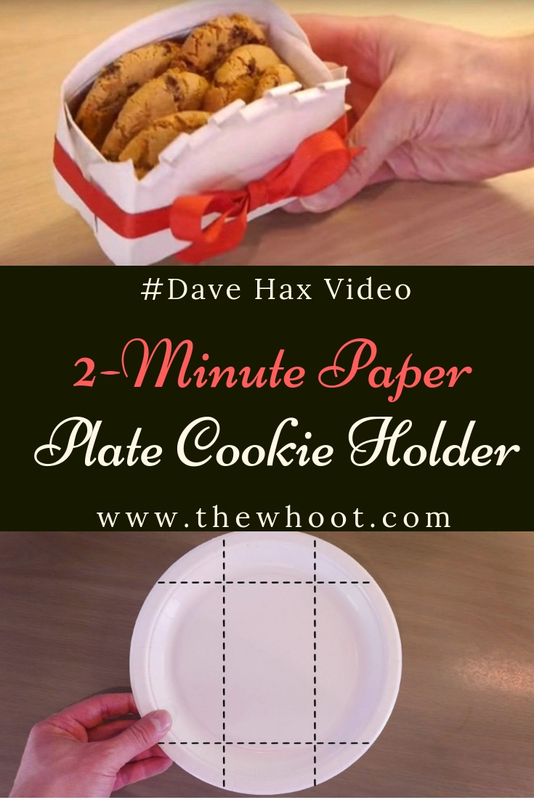 If you love to bake homemade treats for family and friends, you will love to learn how to make a Diy Paper Plate Cookie holder. This will come in so handy for you. We also adore this gorgeous version from It’s Always Autumn who has some excellent pinnable step by step and printable instructions on her site. You can find the details here. See how to make Paper Plate Angels here.